Agena Bioscience said today it will co-promote its MassARRAY® DX clinical diagnostics technology with HeartGenetics' CE-IVD marked products for cardiovascular testing, through a co-marketing alliance whose value was not disclosed. Agena’s MassARRAY DX, which is also CE-IVD marked, is a non-fluorescent detection platform utilizing mass spectrometry to accurately measure PCR-derived amplicons. MassARRAY is designed to meet the assay design, validation, and performance needs of genomic laboratories, by combining mass spectrometry, sensitive and robust chemistry, and advanced data analysis software. MassARRAY is also designed to enable parallel analysis of mutations—including SNPs, InDels, rearrangements and copy number variants—by providing a streamlined and cost-effective workflow for labs. MassARRAY DX can screen tens to hundreds of medically-actionable or known predictive genetic variants across 100s of patient samples in a single day, according to Agena, while the platform is flexible and scalable enough to allow mid- to large-scale sample throughput. Under the alliance, HeartGenetics has agreed to provide its HEARTDECODE® software and assays, which are designed for use with the MassARRAY System. 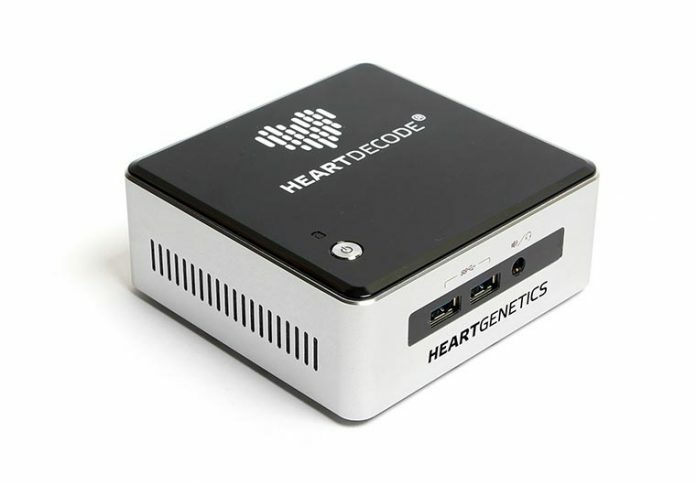 HEARTDECODE software is designed to integrate genetic and pharmacogenetics data and medical guidelines, says HeartGenetics, as well as provide highly accurate and reproducible analysis. HeartGenetics, a spin-off from Instituto Superior Técnico, Universidade de Lisboa (Técnico Lisboa) in Lisbon, Portugal, has developed new certified CE-IVD medical devices. These include genetic tests and AI software tools for data interpretation, all intended to assess individual risk for conditions that include hereditary thrombophilia, arterial hypertension, hypertrophic cardiomyopathy (HCM), and familial hypercholesterolemia. HeartGenetics’ tests include assays designed to identify clinically relevant pharmacogenetics related to warfarin, clopidogrel and simvastatin.